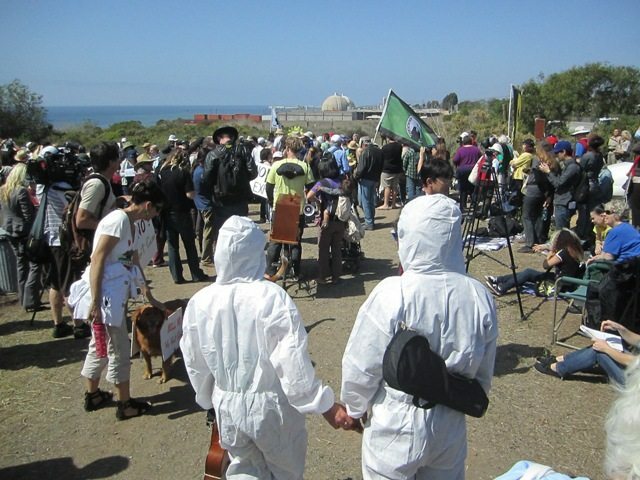 Parties to the California Public Utilities Commission’s (CPUC) investigation of the San Onofre nuclear generating station outage are crying foul over ongoing procedural delays and a narrow Scoping Memo issued Tues. Jan. 28th. Women’s Energy Matters, the Coalition to Decommission San Onofre, United Public Workers For Action and Michael Aguirre charge that both seem designed to force southern California customers to pay even higher rates in the next couple of years to fund Edison’s reckless plan to restart one of its severely damaged reactors —instead of getting immediate refunds for the year the nuclear plant has been offline. Parties ask CPUC to stop paying for these lemons now, and plan for permanent replacement resources instead. The Memo would put off refunds until 2014 or even 2015, although SoCalEdison and SDG&E collected $57m a month in 2012 as if San Onofre were operating. It seems to have deleted any review of 2012 costs for replacement power (promised in the original Order), or most importantly, a review of SCE’s mismanagement of the Steam Generator Replacement Project, which appears to effectively deny refunds for any of the $700 million spent on it since 2006. Edison’s radical redesign of the steam generators caused structural failures after less than two years – an industry record. SCE falsely told the Nuclear Regulatory Commission (NRC) and CPUC that the replacement generators were “like for like,” avoiding a “License Amendment Review” which might have caught problems such as an error-filled computer simulation. Friends of the Earth are suing NRC to force a License Amendment Review for any restart. Edison plans to restart the slightly less damaged Unit 2 as soon as NRC gives the go-ahead (expected in March/April), run it at 70% power for 5 months and then shut down for inspections. Local residents warn that SCE’s plan puts California’s economy at risk, along with more than 8 million people who live within 50 miles of SONGS. That’s the distance from Fukushima Daiichi that the NRC recommended for Americans to evacuate. SCE’s testimony on possible rate reductions proposed nearly full funding for most operations but hardly anything for Quality Assurance and whistleblower protection. The Memo offers a booby prize, agreeing to consider “community outreach and emergency preparedness.” Parties say they intend to fully explore California’s emergency plans for nuclear accidents, which dates back to the 1980s and involves multiple agencies. They call for expanding the evacuation zone from the current 10 miles to 50, extensive real-time radiation monitoring with public reports, and including earthquake impacts on emergency planning, which NRC rejected back in the 1980s, claiming “earthquakes are no worse than fog.” Prior to any restart, parties will insist on a real-world emergency drill, to test emergency plans that are currently only paper exercises conducted every 3 years by first responders. One year ago, a radiation leak nearly became a major nuclear disaster. A year without any blackouts proves we don’t need to live with the danger. Safe, reliable and sustainable alternatives will provide energy and jobs. We also have a bus set up from San Diego’s Balboa Park (SW corner of Park Blvd & President’s Way) with stop at the Oceanside Transit Ctr for only $10 Roundtrip! Select the SD-O’side Bus Ticket on the Ticket Menu here and also your Pick-Up location (San Diego or Oceanside) from the Drop-down Menu in answer to the Question at Checkout.